Effective Marketing – A strong advertising plan is an effective way to draw people. This includes maximum exposure through internet advertising, flyers, ads, signs and open houses. A well-executed marketing plan will result in more competitive bidding. Organization – A well organizing sale increases bidding activity. A poorly organized auction frustrates the crowd and their desire to bid decreases. Quality Selling – Rushed bidding and selling will result in lost revenue for the Seller. A successful auctioneer knows the best tempo and item grouping size in which to sell to capture the best bottom line. Professional Auctioneer – It is important to hire a full time professional Auctioneer rather than those who only work in the industry part time. The time and energy involved in executing a successful sale is extensive and requires a staff of professionals and close attention to every detail. 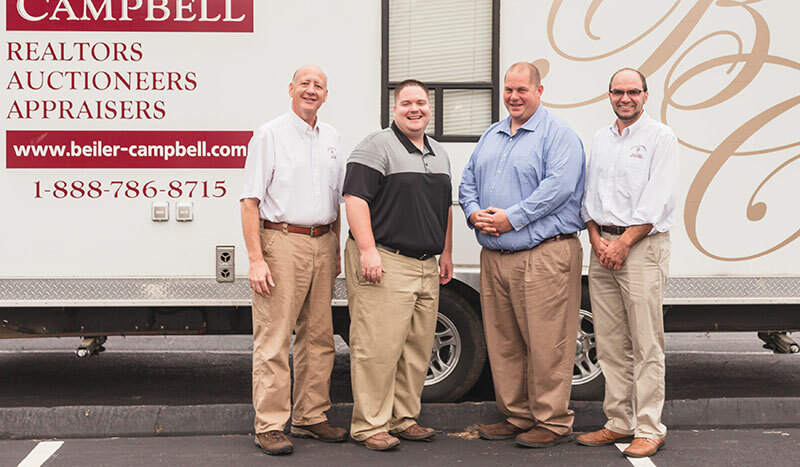 In addition to Auctions, Beiler-Campbell offers Real Estate Broker’s Services. Click below for Broker’s services.